Jane Jacobs suggested that gas stations in the wrong areas would deaden neighborhoods. 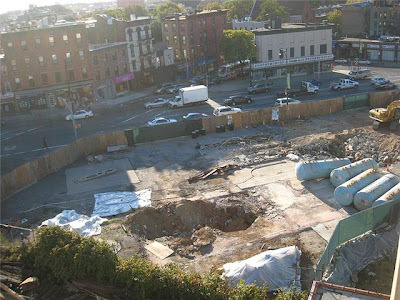 Those looking for a positive accomplishment in the Atlantic Yards Development can point out that a gas station will be one of the condemned businesses. 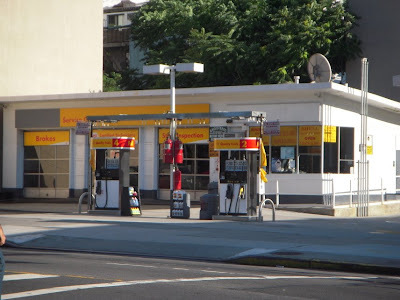 On the other hand, the gas station which sits on an island on busy Flatbush Avenue might be in about as good a place as it might ever be in terms of not disturbing an adjoining neighborhood. Arguably, on the other side, when it goes out of business at this location it is possible the demand for an unfilled service may result in a new gas station springing up in a less desirable location. Labels: Atlantic Yards, What's Blight?